TAIWAN. Kaohsiung. 1998. Lung-Fa Tang Temple. Mental patients. Taiwan. Taichung County. 1999. A couple seeks a rapeseed field in central Taiwan as a backdrop for their wedding photographs. TAIWAN. Taipei County. 1998. Walking across ruins of a deserted factory in northern Taiwan, this prospective bride seeks an alternative backdrop for her wedding album. TAIWAN. Taipei. 2000. On their wedding date, the bride and groom decide that their dog should participate in the ceremony, which takes place in a park in the out-skirts of Taipei. VIETNAM. Ho Chi Minh City. 2003. Recruited by marriage brokers, young Vietnamese women are viewed by Taiwanese men who-for a price-can pick and wed them within a few days. Chien-Chi Chang (張乾琦) (nato nel1961, Taichung, Taiwan) è un fotografo membro di Magnum Photos. Chang ha ottenuto un Master of Science all’Università dell’Indiana. Bloomington e un Bachelor fo Arts alla Soochow University, Taipei. He joined Magnum Photos in 1995 and was elected as a full member in 2001. Vive traTaichung, Taiwan and Graz, Austria. Chang si focalizza sui concetti astratti di alienazione e connessione. “The Chain,” una serie di ritratti scattati in un ospedale psichiatrico a Taiwan, è stato in mostra a La Biennale di Venezia (2001) e alla Bienal de São Paulo (2002). 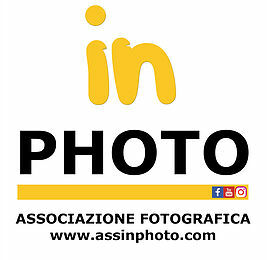 Le fotografie quasi a grandezza naturale di pazienti incatenati insieme, ricordando, attraverso lo sguardo di Chang, i meno visibili legami del matrimonio. Egli ha trattato i legami matrimoniali in due libri – I do I do I do (2001), una serie di immagini che rappresentano coppie di sposi alienate a Taiwan e in Double Happiness (2005), la rappresentazione del business di commercio delle sposse a Taiwan. I legami famigliari e culturali sono anche i temi di un progetto iniziato nel 1192. Per 21 anni Chang ha fotografato e ripreso in video la vita biforcata degli immigrati cinesi nelle Chinatown di New York, insieme a quelle delle loro mogli e famiglie a casa loro a Fujian. Ancora in progress, il progetto è stato esibito al National Museum of Singapore nel 2008, e alla Biennale di Venezia (2011), oltre all’International Center of Photography, New York (2012). La ricerca di Chang sui legami che legano una persona all’altra, rimandano alla sua esperienza personali di immigrato diviso negli USA. Chien-Chi Chang (張乾琦) (born 1961, Taichung, Taiwan) is a photographer and member of Magnum Photos. Chang received an M.S. from Indiana University, Bloomington and a B. A. from Soochow University, Taipei. He joined Magnum Photos in 1995 and was elected as a full member in 2001. He lives in Taichung, Taiwan and Graz, Austria. Chang focuses on the abstract concepts of alienation and connection. “The Chain,” a collection of portraits made in a mental asylum in Taiwan, was shown at La Biennale di Venezia (2001) and the Bienal de São Paulo (2002). The nearly life-sized photographs of pairs of patients chained together resonate with Chang’s look at the less visible bonds of marriage. He has treated marital ties in two books—I do I do I do (2001), a collection of images depicting alienated grooms and brides in Taiwan, and in Double Happiness (2005), a depiction of the business of selling brides in Vietnam. The ties of family and of culture are also the themes of a project begun in 1992. For 21 years, Chang has photographed and videoed the bifurcated lives of Chinese immigrants in New York’s Chinatown, along with those of their wives and families back home in Fujian. Still a work in progress, “China Town” was hung at the National Museum of Singapore in 2008 as part of a mid-career survey and at Venice Biennale (2011) as well as at International Center of Photography, New York (2012). Chang’s investigation of the ties that bind one person to another draws on his own divided immigrant experience in the United States. 1998: First Place, Daily Life, World Press Photo, Amsterdam. 1998: Visa d’Or, Visa Pour L’image, Perpignan. 1998: Magazine Photographer of the Year, NPPA, USA. 1999: W. Eugene Smith Grant, W. Eugene Smith Memorial Fund for Humanistic Photography, New York. Chien-Chi Chang, Cina, fotografo, Magnum Photos, MU.SA.